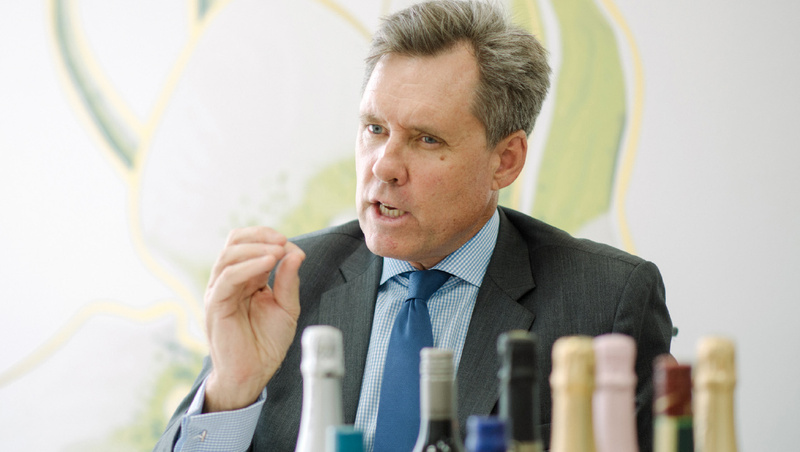 “We consider ourselves to be creators of conviviality, in French créateurs de convivialité; it is our overarching reason for being,” says Tim Paech, president and CEO of Pernod Ricard Japan, the local operations of the Paris-headquartered global wines and spirits group. The Pernod Ricard portfolio certainly offers a multitude of routes to conviviality, including Chivas Regal Scotch, Jameson Irish Whiskey, Absolut Vodka, Martell Cognac, Havana Club Rum, The Glenlivet Single Malt, Mumm and Perrier-Jouët Champagnes, as well as Jacob’s Creek wines. Formed in 1975 through the merger of Pernod and Ricard, previously fierce rivals in the French market for anise-flavoured liqueurs, the company embarked on a major international expansion and organic growth programme, as well as brand acquisitions, to become the second-largest global group of its kind. The second half of 2016 saw Pernod Ricard record global sales of more than €5 billion, posting organic growth of 4%. “We are a very persistent company,” says Paech. “We started here in Japan in 1990 in a very small way. Here we are 27 years later in a much more significant position, with a thriving business, a strong portfolio of brands that has evolved over time, including a number of successful innovations inspired by Japanese consumer preferences.” Paech, by coincidence, began his career in the beverages industry 27 years ago at Orlando Wines, the Australian producer of Jacob’s Creek, which Pernod Ricard had acquired one year earlier. Those local innovations include Chivas Regal Mizunara, a special edition of the storied whisky, aged in Scotland and finished in casks made from Japanese mizunara oak, utilising insights and input from Japanese craftsmen. Released exclusively for the Japanese market in 2013, the 12-year-old blend has since gone on sale in other countries, including France, Singapore, Thailand and Hong Kong, as well as at some international airport duty-free outlets. Jacob’s Creek Wah, wines tailored specifically to be paired with Japanese cuisine such as sushi, has been another local innovation. It has been successful in Japan and is finding favour in many other countries. This summer, Pernod Ricard has released a Jacob’s Creek Edo Furin sparkling wine in collaboration with Shinohara Furin Honpo, a famous manufacturer of artisanal glass wind chimes in Tokyo. Although the wine only went on sale recently, the response so far has been very encouraging. Paech attributes this to a combination of Japanese consumers’ love of limited seasonal products, the strength of the Jacob’s Creek brand, the partnership with the wind chime producer, and support from retailers and wholesalers. Pernod Ricard Japan now has around 180 staff spread between the Tokyo headquarters and seven regional sites, including a new sales office that opened this year on the island of Shikoku. It also has a joint venture with Suntory, a legacy of its 2005 acquisition of UK-based Allied Domecq, that distributes Ballantine’s Scotch, Beefeater Gin, Kahlua and Malibu liqueurs in Japan. “Of course, Japan is not an emerging, fast-growing spirits market, but it is quite stable and mature. And its consumers are very sophisticated,” says Paech. 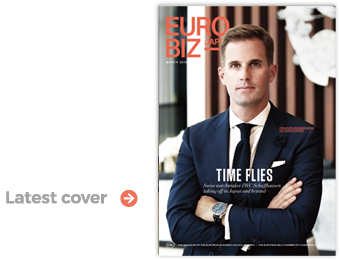 However, companies doing business in Japan also face the challenge of its well-documented demographic issues. On top of a declining population, Japan’s younger generation is also drinking less than their parents. However, Paech points out that young people drinking less is a trend seen in many other mature markets and doesn’t have a major impact on Pernod Ricard. Its portfolio doesn’t include beer and shochu, which have been most affected by this shift in Japan. Despite the decline in alcohol consumption by youngsters, binge drinking by university students, often under peer pressure at parties organised by sport and activity clubs, remains a significant issue in the industry. To raise awareness about the harmful effects of underage and excessive drinking, Pernod Ricard has been running the ‘NO IKKI!’ programme (ikki meaning downing a drink in one go), targeting university students, since 2011. One way the company promotes the ‘NO IKKI!’ message is through lunch mats in university canteens, proactively reaching out to students and encouraging them to talk about these issues. The initiative is part of Pernod Ricard Japan’s Sustainability and Responsibility (S&R) programme, which includes the promotion of responsible drinking, development of our communities and engagement with our partners, protection of our planet, and empowerment of our employees, according to Paech. 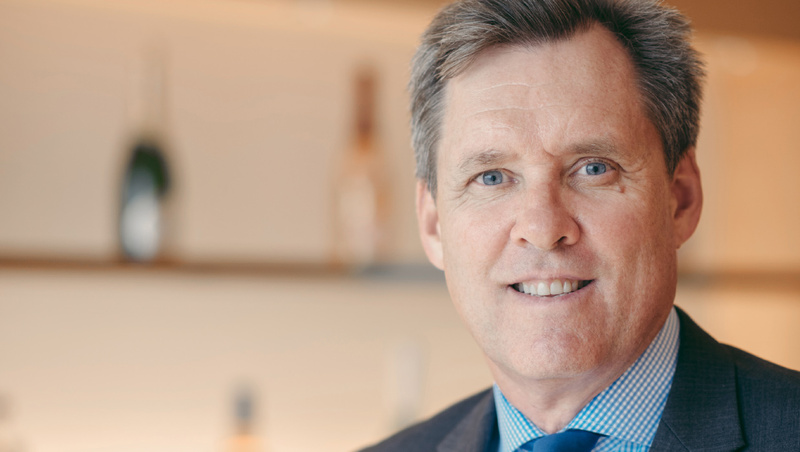 “S&R and a strong sense of ethical behaviour are key Pernod Ricard values, along with entrepreneurship and mutual trust,” he says. “A couple of weeks ago, we had the seventh global edition of our ‘Responsib’ALL day’, where every Pernod Ricard employee at all of our companies — and there’s about 18,500 in 85 different countries — stops work to give back to their local communities,” explains Paech. Pernod Ricard Japan for the second time partnered with the local government in Bunkyo ward — where the firm’s Tokyo headquarters are located — to refurbish community facilities. This year the company’s staff helped renovate Komaji House, which welcomes 5,000 people a year — including the elderly, children and single mothers — to engage in a wide range of activities.